New to Beauté Louboutin, Perfume Oils are a highly luxurious way to experience our three signature women’s Parfums: Bikini Questa Sera, Tornade Blonde and Trouble in Heaven. Caressing the skin with a sensual and indulgent feel, the oils invite women to apply perfume in a way that celebrates their femininity. Created with the alchemy of precious oils in mind, the perfumes mix with the wearer’s skin chemistry, producing a scent that is utterly personal. The elixir is exceptional containing the highest concentration of parfum oil and no added water or alcohol, which means it provides a more intimate experience than a conventional form of fragrance. 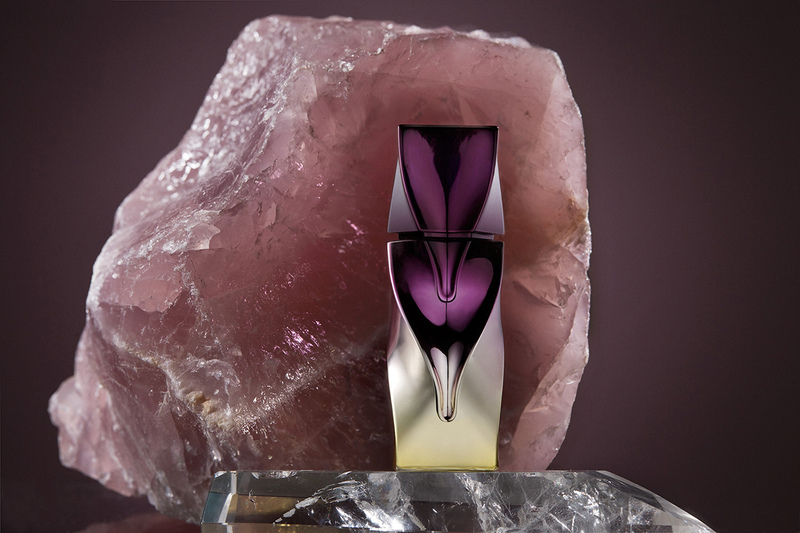 The oil features the same unique olfactive construction as the Parfum, which is what Christian calls the “ping." The oil is intended to be massaged into the body, leaving the skin lustrous and enveloping the wearer in a second-skin of perfume. It can be worn alone or layered with Parfums to heighten the sensory experience and create new nuances of scent. 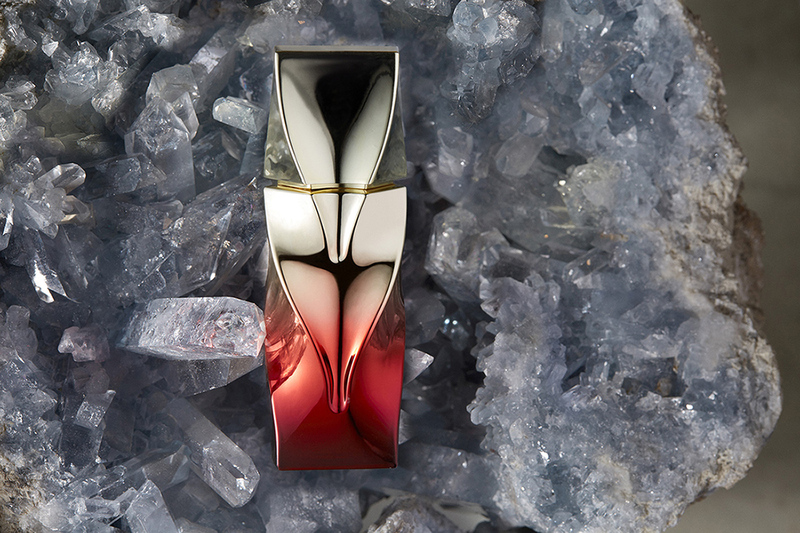 Contained within each bottle is a glass dabber so the wearer can stroke on the perfume in an elegant gesture. Inspired by the ritual of beauty, Christian wanted the oil application to be very personal so that the wearer could choose where to apply the perfume whether it be the décolleté, wrists, collarbone, along her legs, her inner arm, and or the nape of the neck. 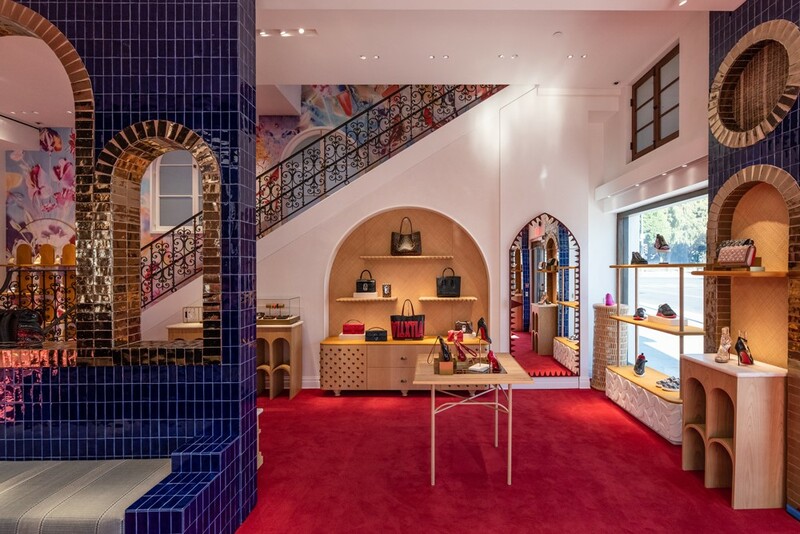 Encapsulated in a gorgeous objet d’art that is both visually hypnotic and tactile, the bottles were once again made in collaboration with Heatherwick Studio. 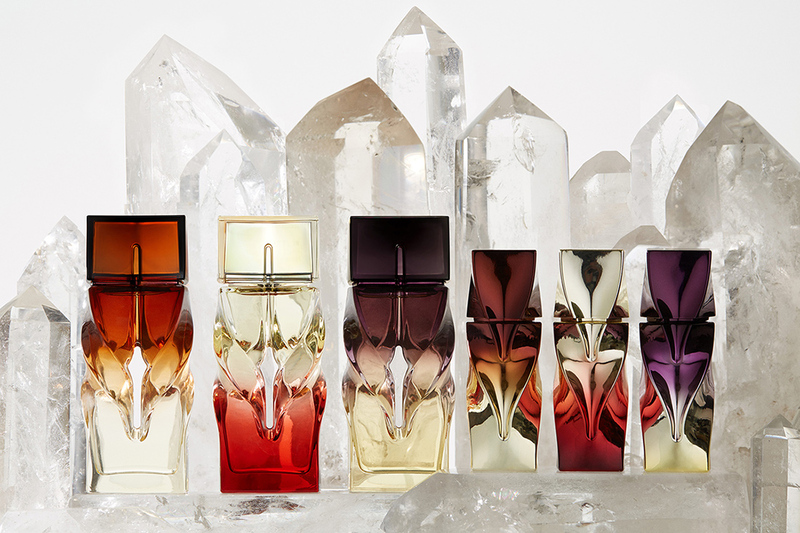 The bottles for each of the three Perfume Oils feature the same symbolic colourways as the fragrance bottles: deep amber and gold of Bikini Questa Sera, warm garnet and light gold ombré of Tornade Blonde and royal purple and gold of Trouble in Heaven. 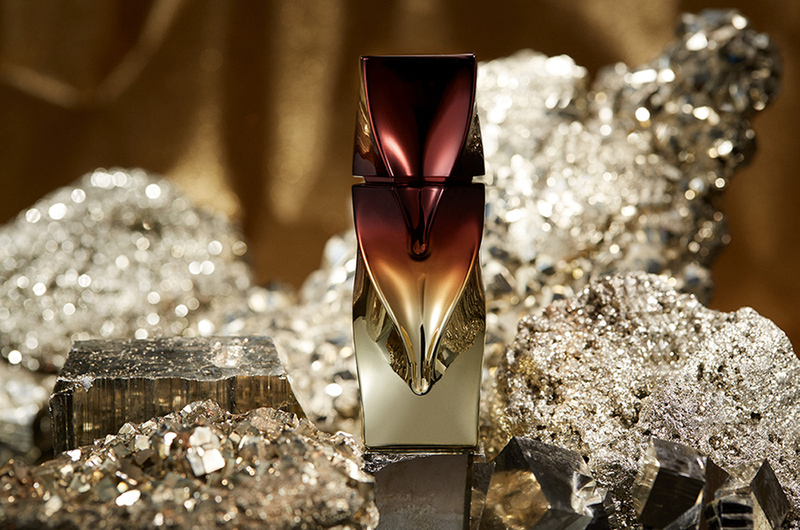 A unique and luxurious metallic finish gives the bottles an iridescent, radiant effect and differentiates the oils within the Christian Louboutin Parfum range.